Sell Your House Fast Greensboro, NC | GET A CASH OFFER TODAY! | We are a Local House Buying Company. You’ll Get A Fair Offer – You Choose The Closing Date. We Pay All Costs! Close with CASH quickly. We are experts on buying houses and We Buy Houses in Greensboro,NC and surrounding Piedmont Triad area! We have proven results and will present you with our best offer! Bring us any previous offer you have received and we will beat it! You can sell your House to us for FREE! No hidden fees or commissions. 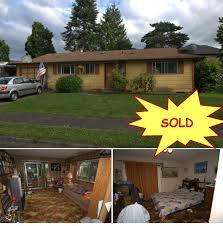 Sell Your Guilford County NC House Quickly for CASH and without Hassle or Obligations. We are not one of those large nationally known companies located in another state. We are a located right here in the Triad and familiar with the area and the local housing prices. We provide Real Estate Solutions for the Greensboro NC area. We buy houses, townhouses, condos, duplexes, multi-tenant buildings, and even some commercial properties from owners looking to sell quickly for a cash buyout. When you sell your home to Arrington Investment Properties, LLC you’ll pay little or no closing costs, and you can receive your payment in 15 days or less. If you are on this site obviously you have Greensboro real estate you want or need to sell quickly because of stress, a burden or just want to sell your house quickly. We are here to help you sell your house fast in Greensboro NC. We can show you how to easily sell your house without a realtor. We are currently looking to buy houses with cash in the Greensboro area including all of Guilford County and since we can pay with cash, we are able to close very quickly or simply on your time frame. We are the local We Buy Houses in Greensboro Company that gives you a all cash offer but more importantly treats you FAIR. If you need to sell FAST without any hassle – we buy AS IS, meaning no contingencies and you don’t pay any commission (we are not Real Estate Agents or Brokers. we are local cash house buyers) and in most cases you won’t pay any of the closing costs. Is your House ugly? We will buy it, It’s that simple. We also purchase houses in Burlington,NC, Winston Salem, NC, Kernersville, NC, High Point, NC, and Reidsville ,NC. To learn more about the process, this video will help you understand “how all this works” – PRESS PLAY BELOW. Do You Need To Sell Your House Fast in Greensboro NC? It does not matter how ugly your house is. We buy awful houses and pretty houses. We can help you sell your house fast in Greensboro NC. Tired Landlord? Sell your unwanted Rental property. We help property owners just like you, in all kinds of situations. From divorce, foreclosure, death of a family member, burdensome rental property, and all kinds of other situations. We buy houses in Greensboro and surrounding areas and pay a fair cash price, fast. Sometimes, those who own property simply have lives that are too busy to take the time to do all of things that typically need to be done to prepare a house to sell on the market… if that describes you, just let us know about the property you’d like to be rid of and sell your house fast in Greensboro NC for cash. Cash for Houses in Greensboro NC.